In 2016 Dutch Kills proudly took The Sister to the Edinburgh Fringe Festival to delight and challenge our critics and our early bird audiences alike. 3/22 - 4/13 2013 at the 4th Street Theater. In the spring of 2013 Dutch Kills produced its first full length play. 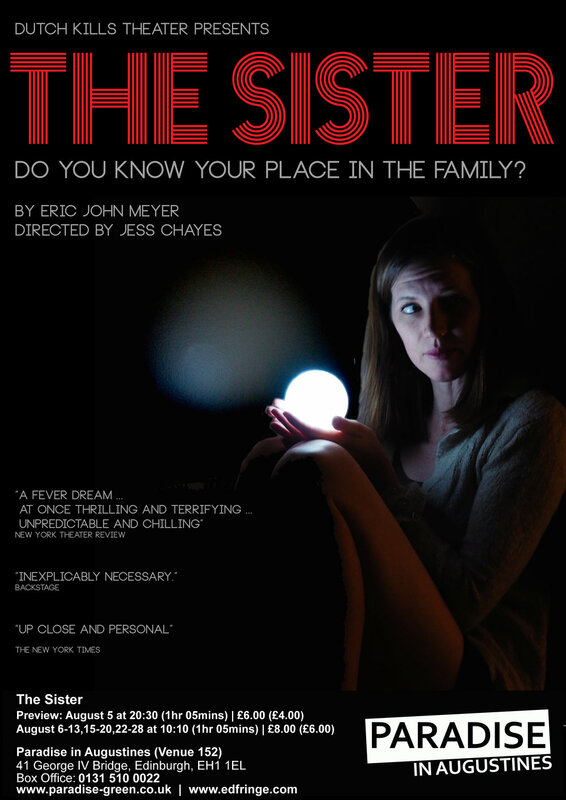 Eric John Meyer’s chilling and unflinching examination of domestic life was presented at the 4th street theater with critical success. It defies genre and expectation in artfully embodying the panorama that is the human condition. ... It is gratifying to watch and inspiring to discover such bold and talented new voices. — New York Theater Review.